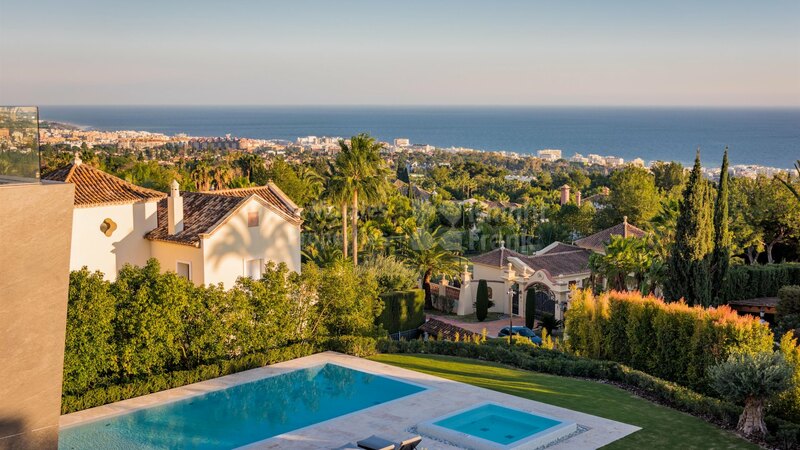 Please, send me more information about ref DM4466 in Sierra Blanca, Marbella Golden Mile or similar properties. 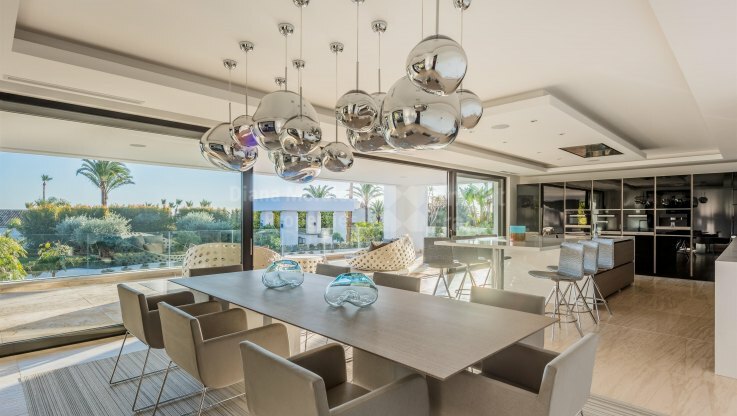 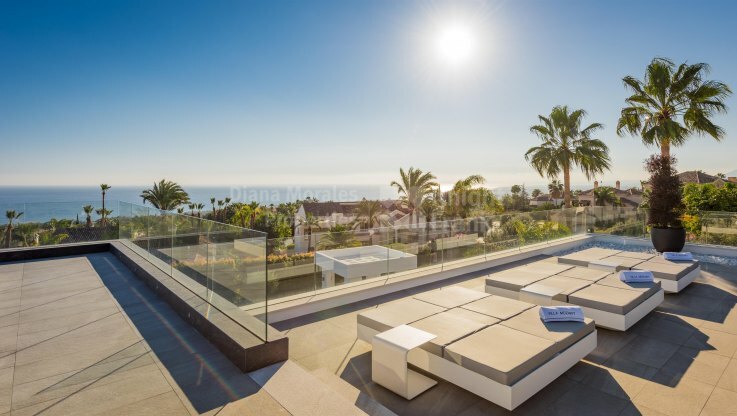 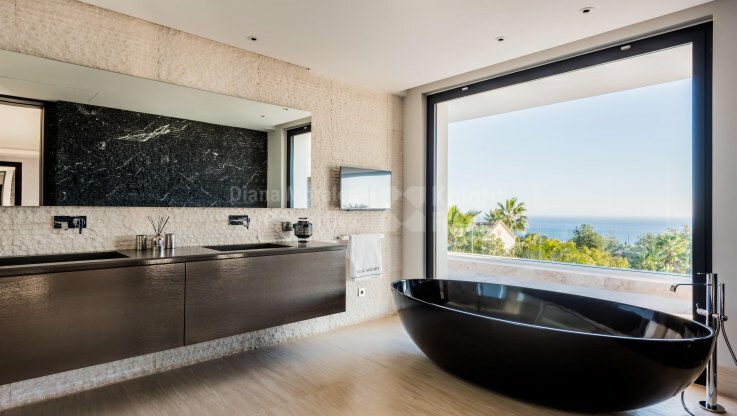 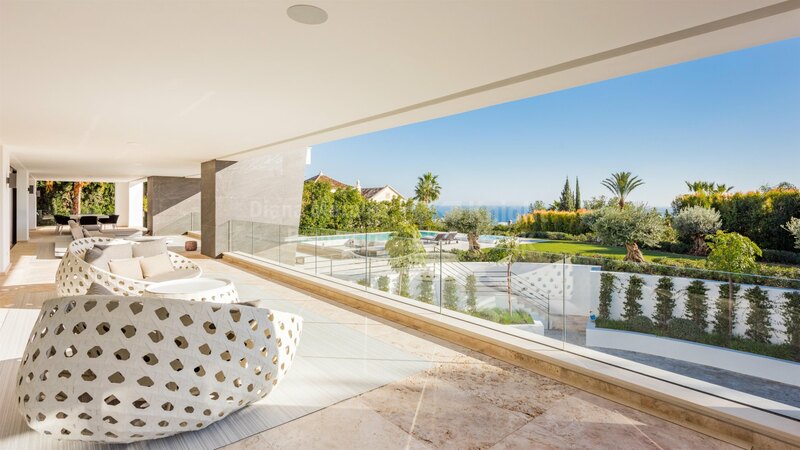 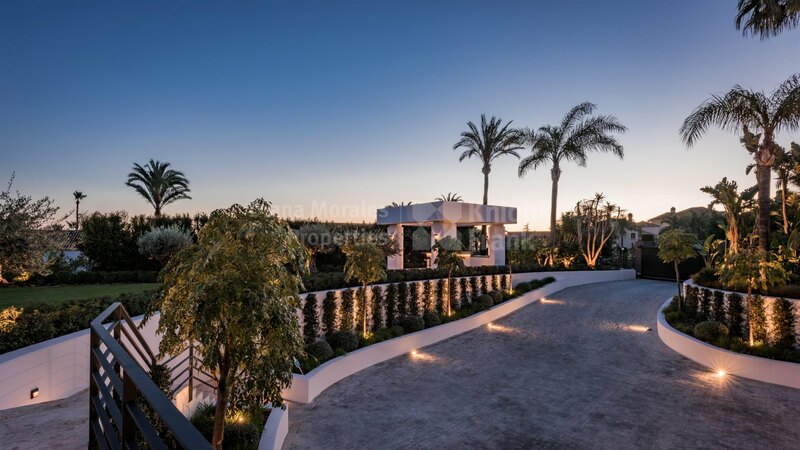 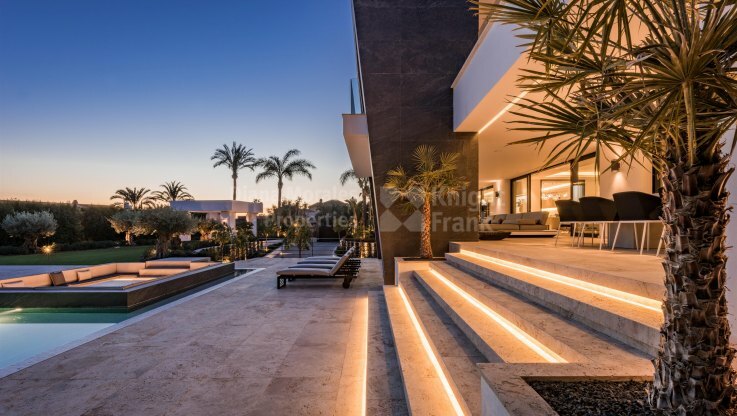 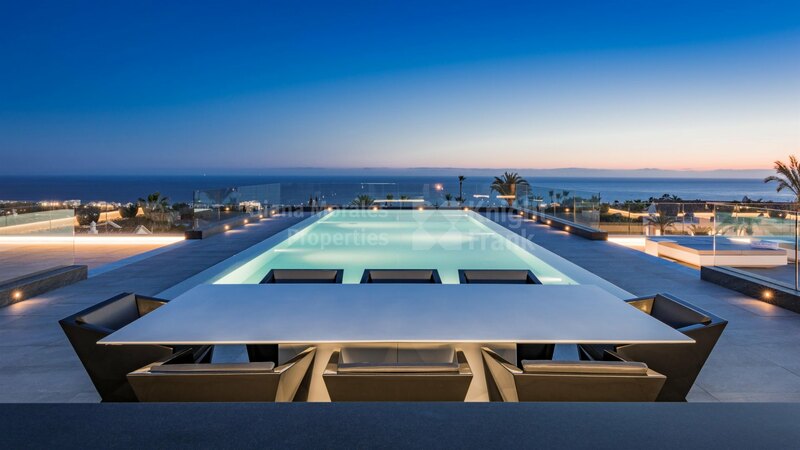 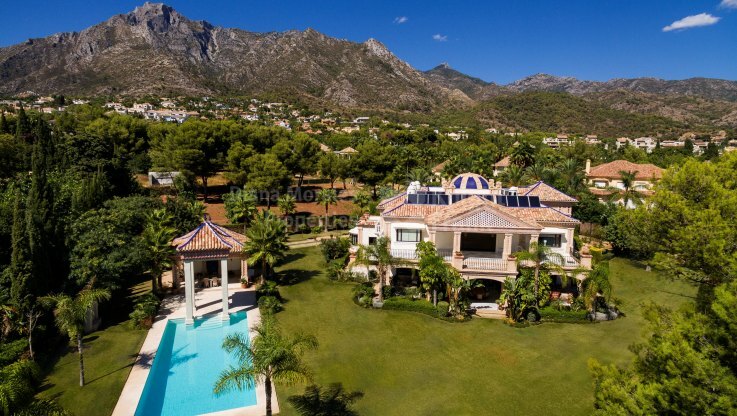 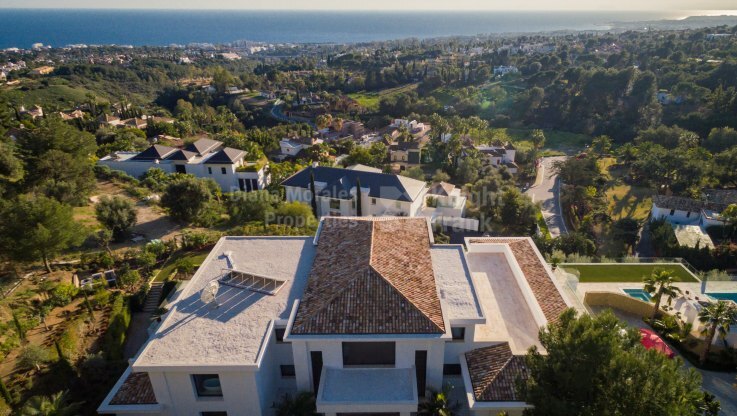 This spectacular brand new villa is located in one of the sought after urbanisations of Marbella, Sierra Blanca at approximately 3kms from the centre of the town and offers sea views from its ground floor. 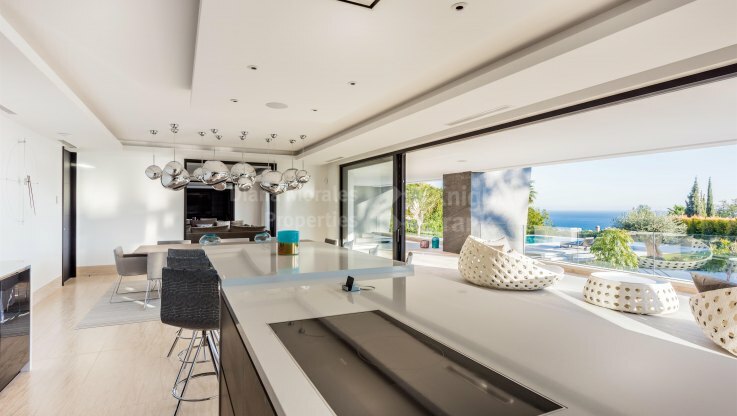 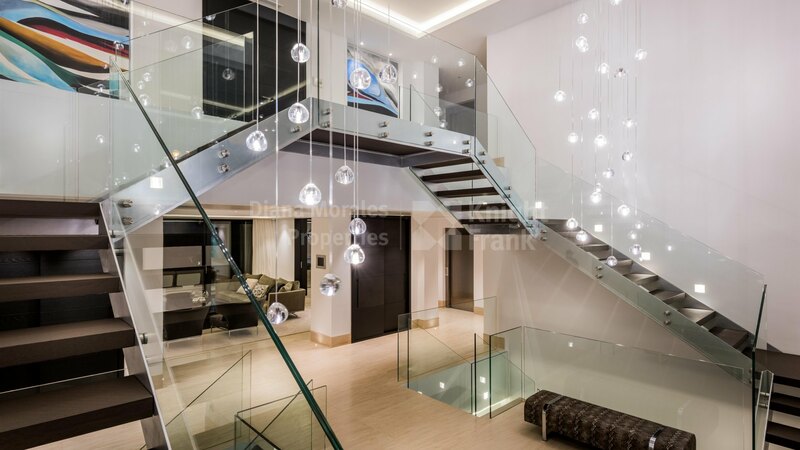 Built over two levels plus basement the mansion welcomes the visitor with a double height entrance hall, open concept contemporary kitchen fully fitted and equipped with electric appliances and dining area. 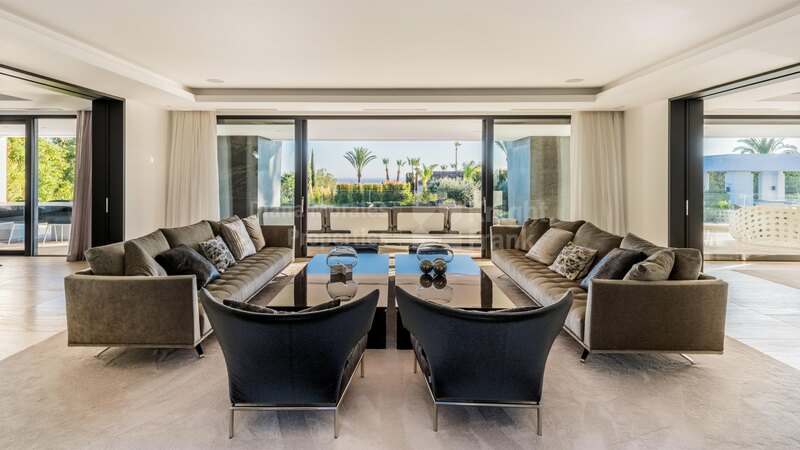 The adjoined lounge leading out to the covered terrace, a reception room ideal for an office or TV room, a guest toilet and 2 large bedrooms with bathrooms en-suite complete the distribution of the ground level. 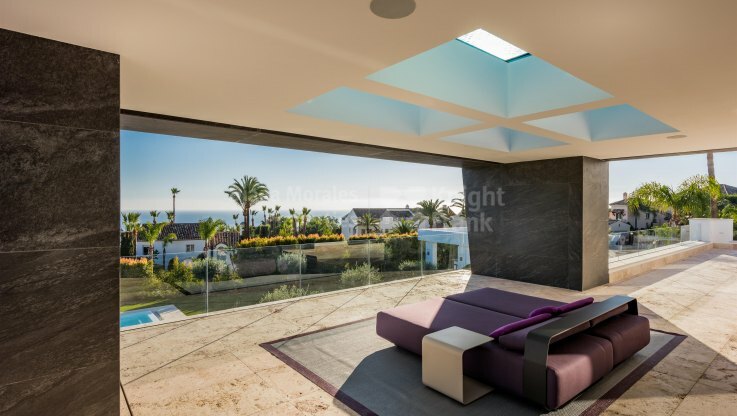 On the first floor is situated the master bedroom with his and her dressing rooms, a private terrace with glass ceiling looking in to the roof top swimming pool, excellent sea views and a large master bathroom. 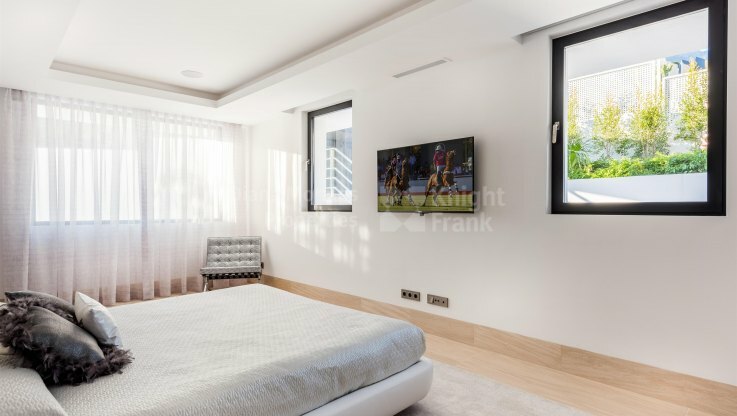 In addition a further two bedroom suites with dressing rooms and private bathrooms are located on this level. 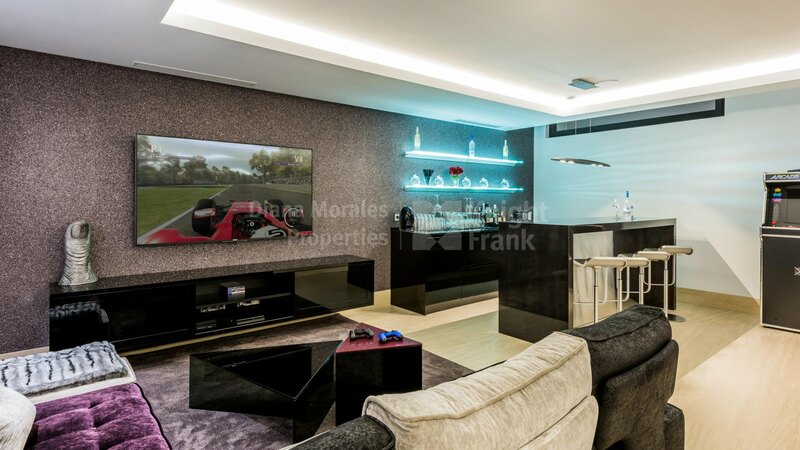 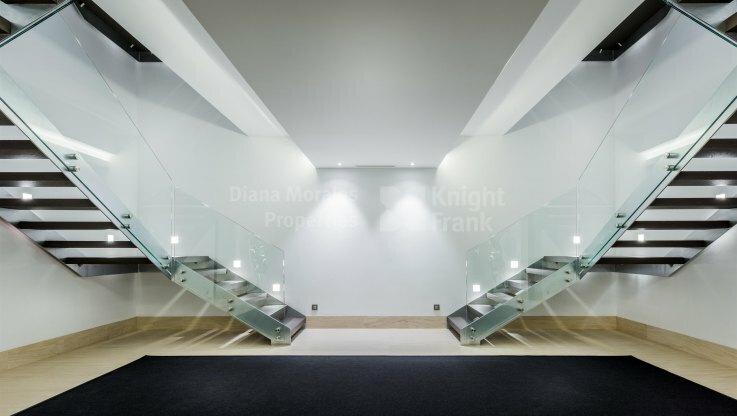 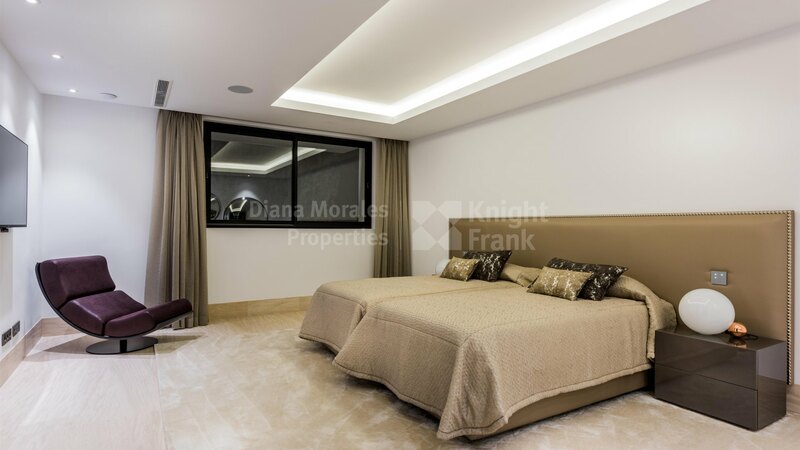 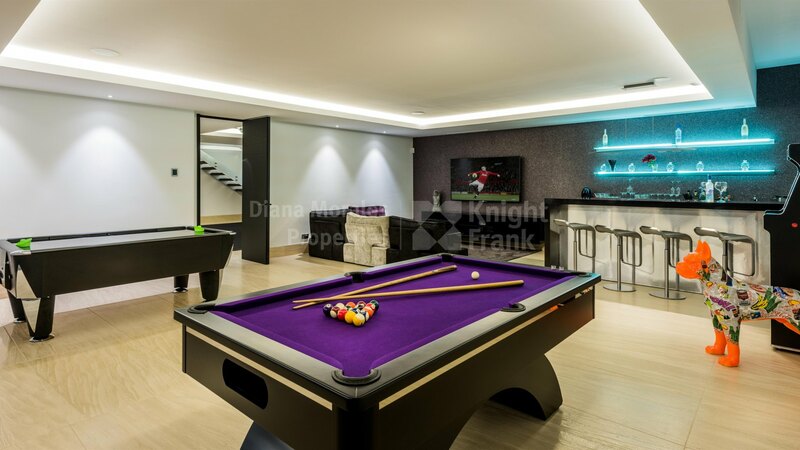 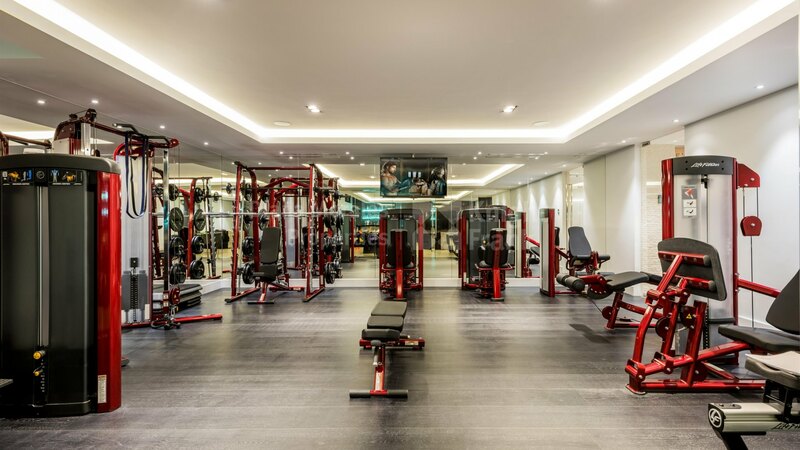 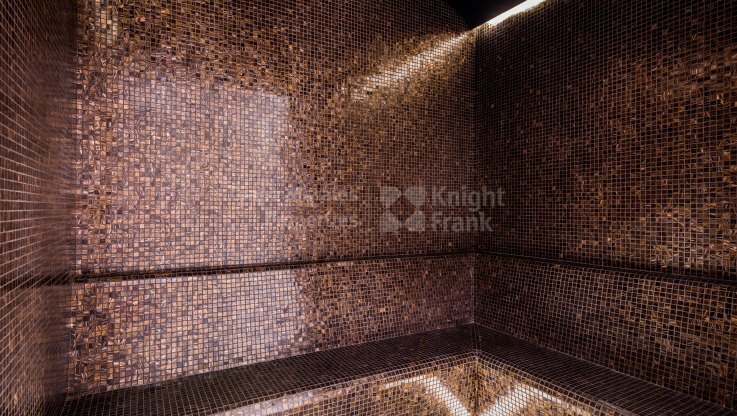 The basement level features a professional gym, wine cellar, games and chill out room, sauna and steam room, home cinema, 3-4 car garage and staff apartment. 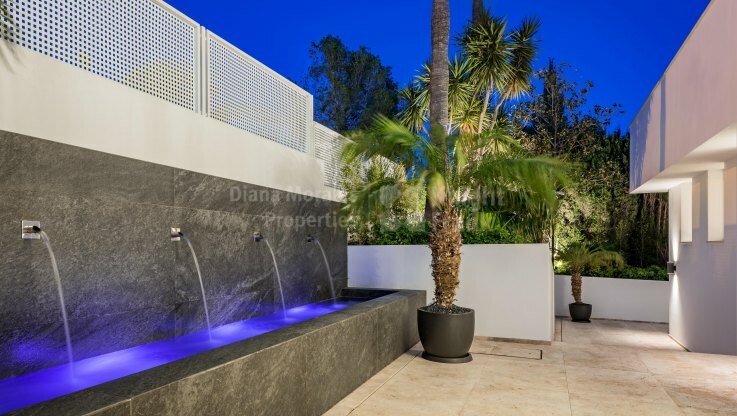 The property is surrounded by tropical landscaped gardens with a heated pool, Jacuzzi and sunken poolside dining area. 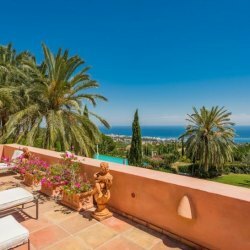 Sierra Blanca is situated a few minutes from the beaches of the Golden Mile and has 24 hour security. 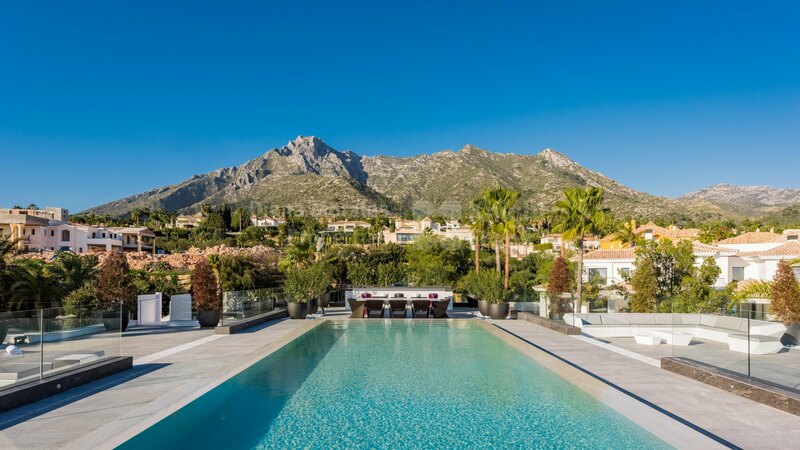 The famous Golden Mile has a gated hillside residential area that puts country club living right on the edge of Marbella – just a few minutes’ drive from its beaches, shops, restaurants and palm-lined avenues lies Sierra Blanca.